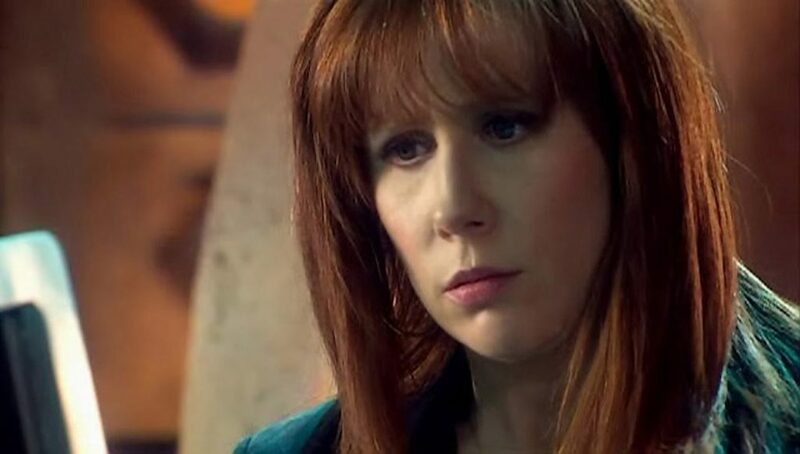 As a result of her encounter with the Doctor, Donna’s eyes were opened to the universe, and she could not resume her old life. Also following this encounter, Donna’s father, Geoff Noble, died and Wilfred Mott, her grandfather on her mother’s side, moved in with them. 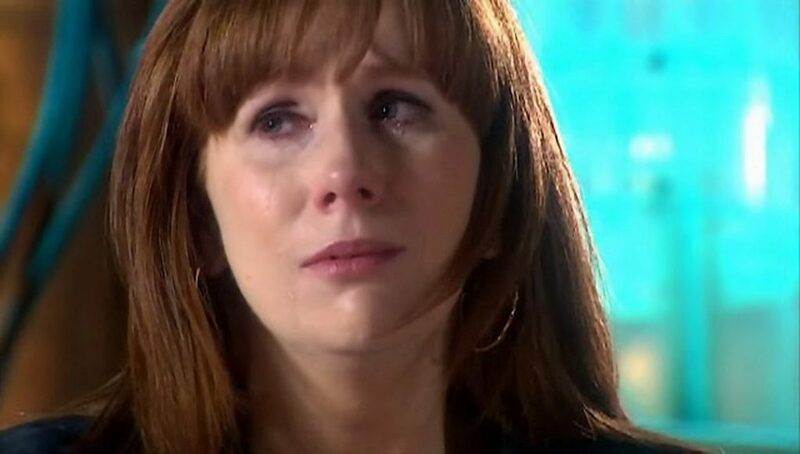 Donna tried to live without the Doctor. She went to Egypt for two weeks on holiday looking for some excitement. When this failed, she began investigating unexplained events, knowing the Doctor always ran into trouble and hoping that she would be able to encounter the Doctor again. She also took a thermos of coffee up to her grandfather when he was looking At The stars. In 2009, she finally caught up with the Doctor while looking into Adipose Industries. After Donna stopped the birthing Of The Adipose from fatally converting human tissue into Adipose young, she witnessed the March Of The Adipose and began to travel with the Doctor in the TARDIS. Unlike most companions of the Doctor, she was well prepared for the trip having packed several suitcases (including a hat box in case they went to the “Planet Of The Hats”). The Doctor was reluctant at first, but agreed after Donna assured him that she, unlike his two previous companions, harbored no romantic feelings for him. The TARDIS was taken on board the Crucible and its defences were taken down. Donna was separated from the Doctor when the TARDIS refused to let her leave when the others surrendered to the Daleks. Donna reached out toward the Doctor‘s hand when the TARDIS was being sent to the core Of The Crucible to be destroyed. The regeneration energy stored in the Doctor‘s hand interacted with Donna and created a being who looked like the Doctor, but was half human and had aspects of Donna’s personality. When Donna tried to use the Meta-Crisis Tenth Doctor‘s Z-Neutrino Biological Inversion Catalyser on the Daleks, Davros electrocuted her. The electrical shock on Donna stimulated her brain, awakened the Time Lord DNA that transferred to her during the two-way biological meta-crisis, and gave her “the best part of the Doctor — his mind,” rendering her the “DoctorDonna” Of The Ood’s prophecy. She used her new-found intellect to deactivate the reality bomb and disable the circuitry on the Daleks‘ controls, and helped use the magnetron to bring twenty-six Of The planets back to their rightful places in the universe. The Meta-Crisis Doctor, fulfilling one of Dalek Caan‘s prophecies, destroyed the Daleks. When the Supreme Dalek wrecked the magnetron, Earth was the last planet still in the Cascade. Donna helped the Doctor and his companions to “tow” the Earth to its proper place in the galaxy with the TARDIS. By Christmas 2009, Donna had got her life back on track; she was engaged to Shaun Temple. According to her grandfather though, she and Shaun had some financial issues as neither had good jobs. She nearly bumped into the Doctor twice, once while Christmas shopping during which she angrily warned a nearby traffic warden to leave her car alone. For Christmas, she gave Wilf a book by Joshua Naismith, but did not know exactly why, saying that she simply felt like he should have it. The Doctor surmised it was her Time Lord subconscious directing Wilf, since he was so important. On Christmas Day, the Master turned every human into versions of himself. Donna’s half-Time Lord mind caused her not to transform, but her mother and Shaun were. The shock of seeing them transformed into duplicates of the Master reawakened some Of The memories of her travels with the Doctor. Visions of aliens she had met appeared in her mind. She called Wilf and was told to run for her life. She ran, but was cornered by Master duplicates in an alley, and was beginning to break down over the rush of recovered memories. However, the Doctor had also implanted a form of mental self-defence in her mind that released a blast of energy, putting Donna to sleep and knocking the Master facsimiles unconscious. While Gallifrey appeared in the sky hurtling towards Earth, Shaun found her unconscious and brought her home. She came to when the TARDIS appeared in the street and complained that she had, yet again, missed something important. Sylvia was just amused when Donna said that as she knew Donna to be safe. In a parallel world in June 2007, Donna decided to work for Chowdry instead of H.C. Clements by turning right on Little Sutton Street towards Griffin’s Parade. She was promoted to his personal assistant that December, when she saw the Racnoss Webstar attack central London. There, she saw the deceased Tenth Doctor carried away by UNIT troops and a blonde woman, Rose Tyler, arrive, apparently by mistake. Over the next two years Donna met Rose at several alien encounters which the Doctor would have prevented, had he not died in 2007. After Mr Chowdry laid off Donna, she won a trip to Firbourne House on a raffle ticket she found with the office supplies she had taken. While there, over Christmas 2008, the Titanic crashed into London, destroying it. Donna’s family was relocated to Leeds. 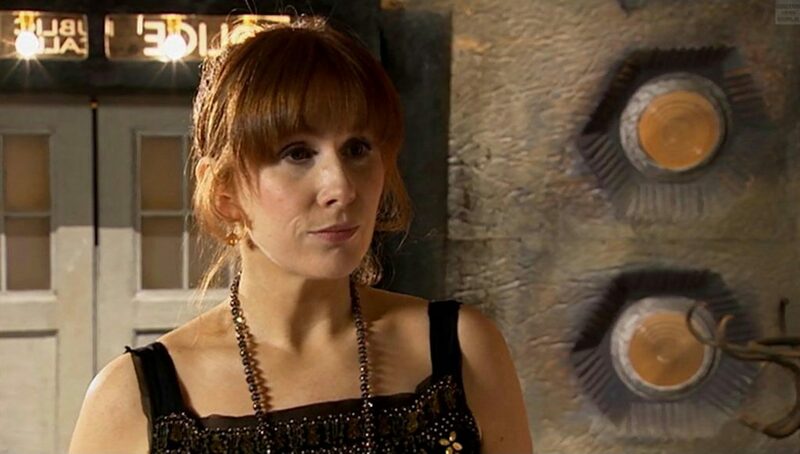 The name Donna Noble was not revealed to the public until promotional material began to circulate for The Runaway Bride. In the closing credits of Doomsday, the character is only identified as “The Bride”. Originally the new companion for Series 4 was meant to be a completely new character, and showrunner Russell T Davies had begun thinking of a Donna-like character called Penny Carter. 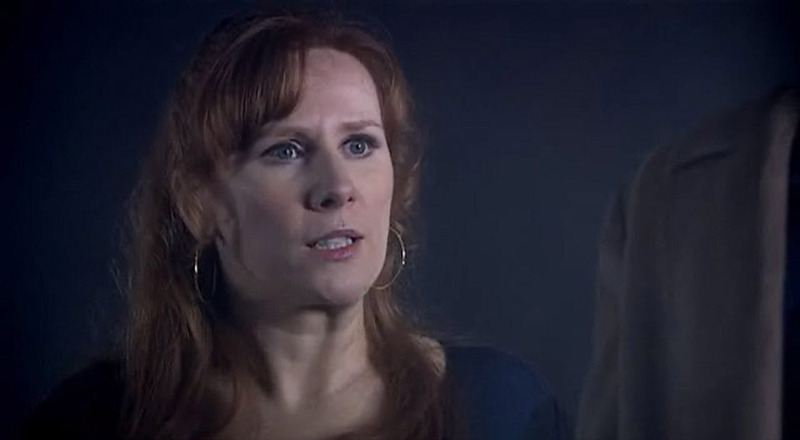 After Catherine Tate indicated that not only had she had a great time filming The Runaway Bride, but was interested in doing a full series, Donna was brought back as a series regular. Penny Carter was later rewritten as a minor role in Partners in Crime. 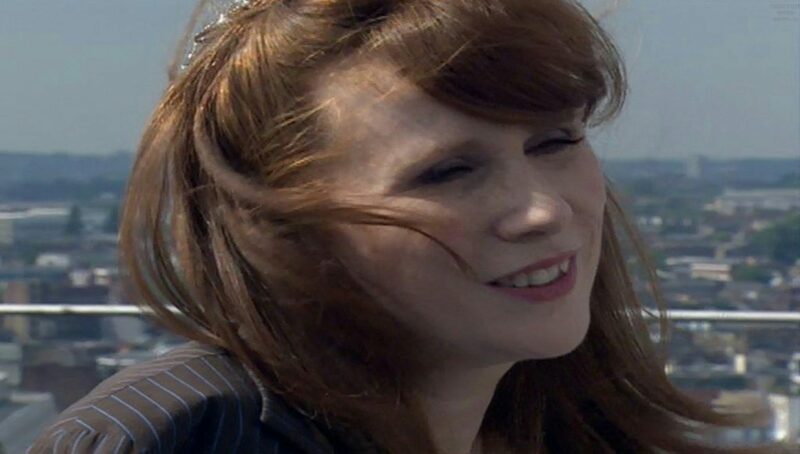 A deleted scene from Journey’s End included in the Series 4 DVD Box Set showed Donna, after her mind-wipe, reacting with recognition to the sound Of The departing TARDIS, but dismissing it. This scene was removed to avoid creating a discontinuity; if Donna remembered anything about the Doctor or her travels with him, her mind would burn up. Due to timing and her short tenure on the series, Donna appears in only two comic strip stories published in Doctor Who Magazine, and two Doctor Who comics by IDW Publishing. In the commentary for The End Of Time, Russell T Davies stated that Donna’s wedding to Shaun Temple takes place in spring 2010. 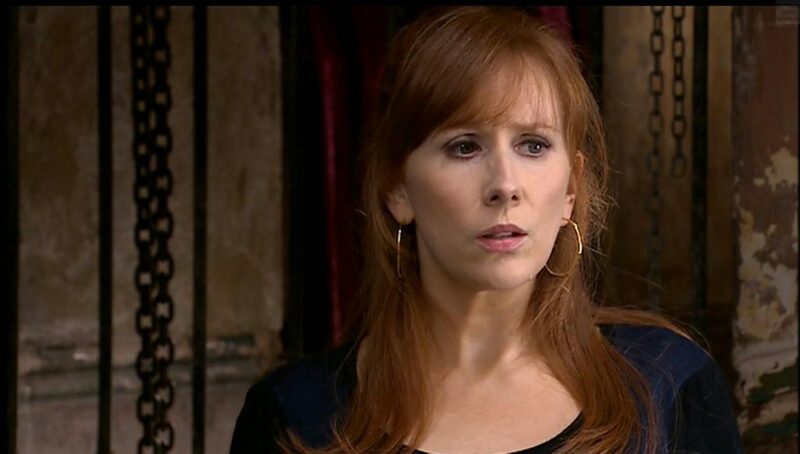 In a very crude translation, the name “Donna Noble-Temple” means “Lady Lord (of) Time”: Donna is Italian for Lady, Noble means “of noble birth”, such as a Lord or a royal, and finally the words Temple andTime (Templum andTempus in Latin) share an origin from Proto-Indo-European. 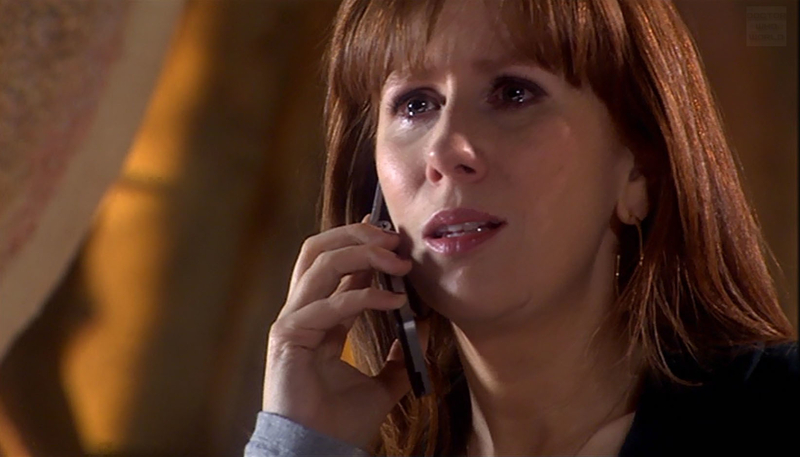 Catherine Tate announced in January 2016 that she would not return to the show as Donna Noble after the departure of Clara Oswald. 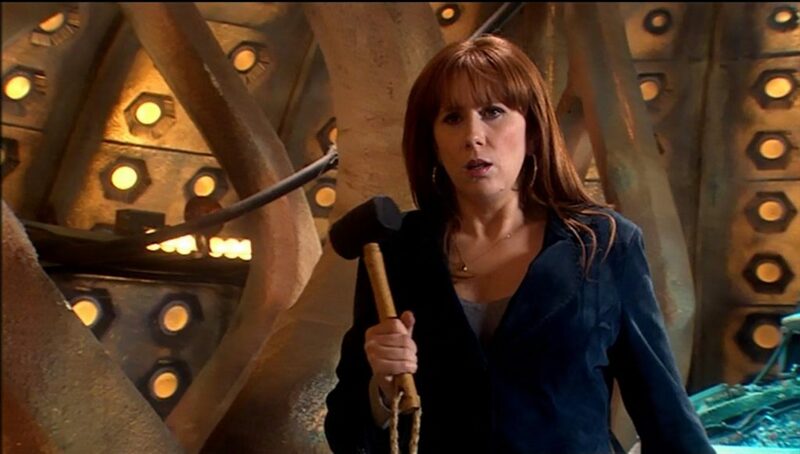 Donna was dubbed by Kordula Leiße in the German dub of Doctor Who, with the exception of Doomsday, where she was dubbed by Elisabeth Günther. In Italian, she was dubbed by Alessandra Korompay in all but The Runaway Bride, where she was dubbed by Monica Vulcano. In French, she was dubbed by Carole Baillien. Donna later returned twice in 2016, in three audio dramas and a novel.